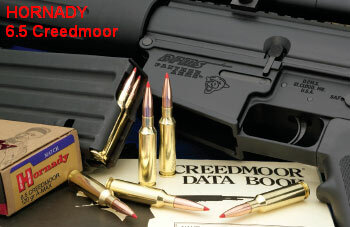 Hey guys, Hornady just released a brand NEW 6.5mm Cartridge called the 6.5 Creedmoor. In "secret" development with Dennis DeMille at Creedmoor Sports, the 6.5 Creedmoor is bigger than an 6.5x47 Lapua, but smaller than a .260 Remington (6.5-08). Case Capacity is 53.0 grains of water filled to the top of the case mouth. 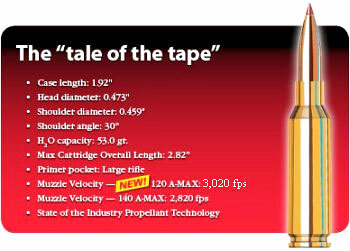 The AR15 bolthead can go up to .445" (PPC size). Anything over that is looking for trouble. If the 6.5 x 47 Lapua is enjoying it's limited success, how much room is there for the 6.5 x 49 Creedmore (at lower pressure) ?